Leaders in Occupational Health and Substance Abuse Testing. 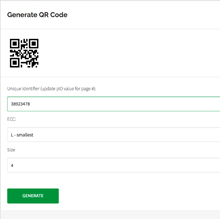 Custom software build to help manage drug testing, scheduling, notifications, QR code scanning for document management and client access to mention 10% of the modules. The Gateway software system is a more recent build using our UCD (user centred design) process to really help nail down the complex logic of the drug testing and the internal processes within. Iteration of wireframes help our clients see what exactly the software build will look like right down to the little details before we start the build. 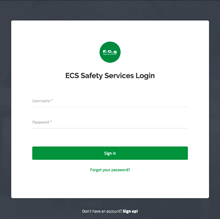 The Gateway software is cutting edge software that puts ECS way ahead of it’s competitors for it’s industry. 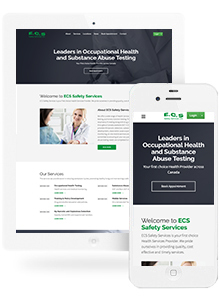 ECS also needed a new responsive website where they could update there own content. Custom premissions for all user types, secure login, full data encryption and custom software. Realtime QR scanning for document management that tracks, sorts and manages all paperwork and documents. 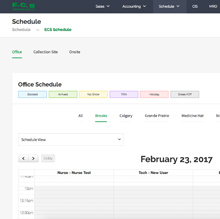 Powerful scheduling features to manage testers, nurses and medical review officers accross different locations. 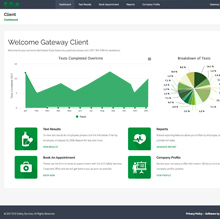 Clean client side interface delivers realtime data and stats on employees, test results accross mobile, tablet and desktop.